The SPOUTPRO IFC – 2 – BP is our model for inline 100% automatic neck inserting, filling and capping of PacXpert type flexible pouches. Filling Range 2 to 10lts. 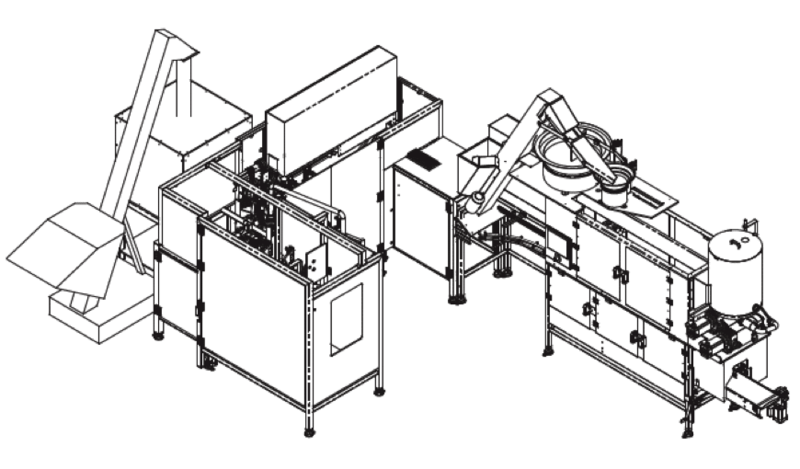 Compact machinery built for a safe and clean operation. Optimized use of packaging material – fill to max level – Head space is controlled thru a conveyor or metal support to out feed conveyor belt.